Check out the neat plot created by Luke Mahler using my phylomorphospace() function (available here). Click on the image at right to enlarge. 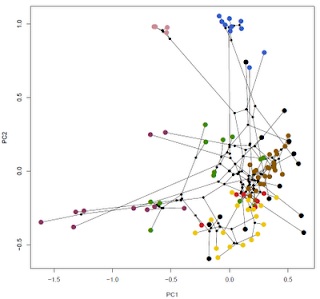 In this plot are the phenotypes and phylogenetic relationships among 100 Greater Antillean Anolis lizards. According to Luke, PC1 is limb lengths (more or less); and PC2 is overall size. 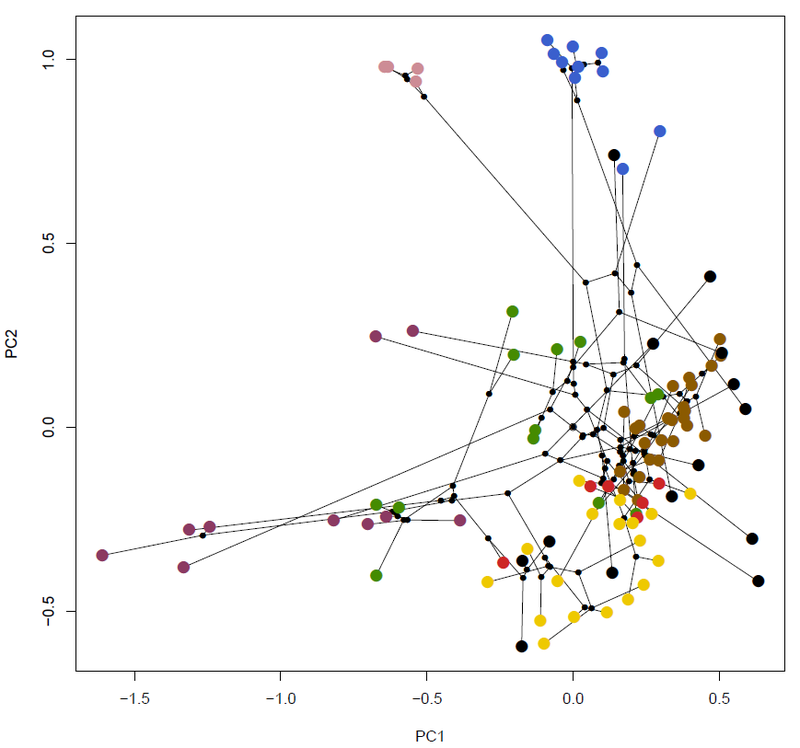 The tips of the tree are color coded by ecomorph. The phylomorphospace graphing method is based on Sidlauskas (2008). Thanks to Luke for sharing this.